This post contains affiliate links. That simply means we may be compensated if you use a link on this page to visit another site (like Amazon, Target, or Costume Express) and you end up buying something from them as a result. There’s only 3 days until Halloween and I don’t have a costume! What am I going to do? It seems like this happens to me every year. We get the kids taken care of but end up scrambling at the last minute to figure out our costumes. Does this sound familiar? 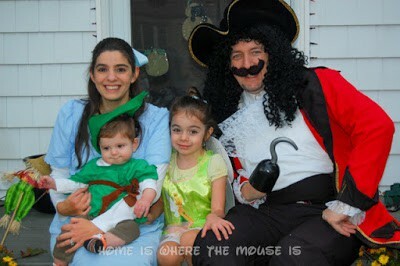 Since Jackson arrived in 2011, we’ve made a habit of doing a family theme for Halloween. 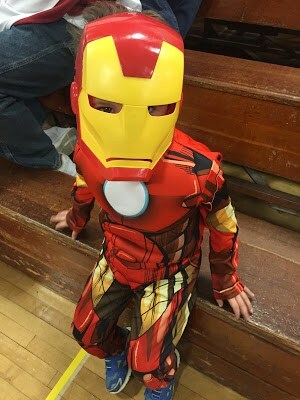 In every instance, it seems like we did our homework when it came to the kids, but neglected figuring out costumes for ourselves until the last minute. The end result is we usually end of scrambling by throwing something together or shopping for something with guaranteed shipping. Jackson’s Peter Pan costume was pieced together. Bella wore a store-bought Tinkerbell costume. Lisa’s Wendy costume was actually a Cinderella dress we found at the last-minute in a Halloween store. My Hook costume was ordered online with guaranteed shipping just a few days before Halloween. 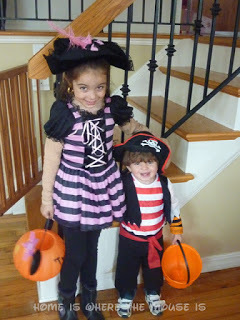 Bella’s Pirate Princess costume was ordered online along with Jackson’s pirate outfit. As you can see, Lisa and I wore a bandannas. 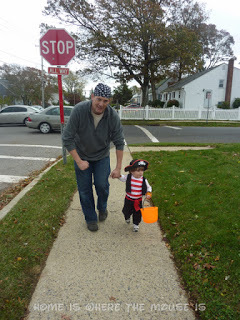 I’m not sure why I didn’t reuse the Hook costume from the year before. I did make pirate sounds and talk pirate if that counts for anything. 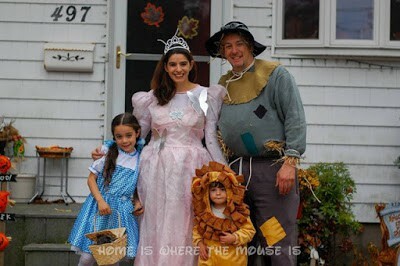 The following year, we went big with store-bought Dorothy, Cowardly Lion, and Glinda costumes. I opted to make my own Scarecrow costume by buying cheap clothing and materials to put it together. 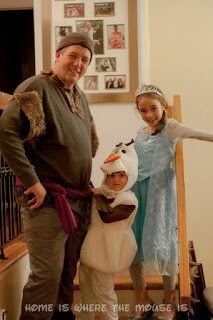 Last year, we were swept up in Frozen-Mania and went with official Disney costumes for our little Elsa and Olaf. 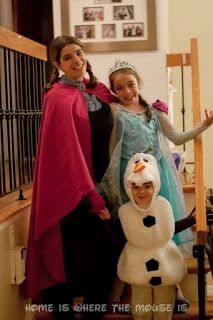 Lisa and I pulled off Anna and Kristoff using stuff from the local fabric store and clothing we already had. This year we’ve settle on superheroes. 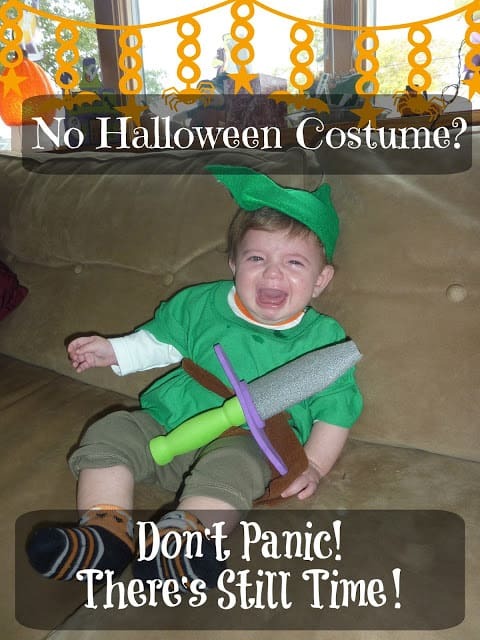 Both kids have their costumes already. Jackson is Ironman and Bella is Batgirl. That means Lisa and I can be just about any superhero we want, and yet we’re both costume-less just days before Halloween. 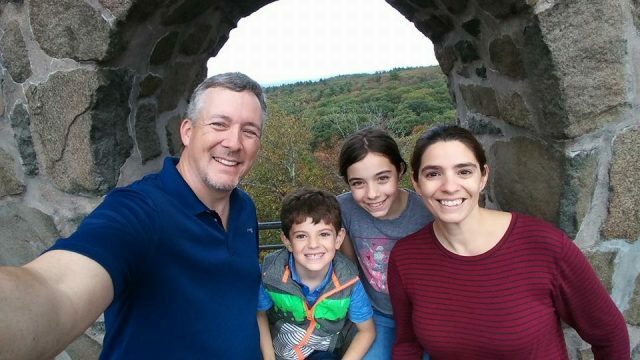 I suppose Lisa could just be “Mom” since moms are superheroes after all. Jackson has told me I need to be Thor, so now I have to find a Thor costume. I know the local stores’ Halloween departments are a mess right now. I’d be amazed if I could find anything this late in the game. I figure online is the best bet, even with having to pay to get it shipped in time for the 31st. I tried Amazon.com since we’re Prime members. 2 day shipping should get it here. Unfortunately, the one I found says it may take an additional 1-2 days to process BEFORE shipping. That’s not good. There was also a t-shirt/cape option but not in stock until after Halloween. Next up, Costume Express. They have the costume (same as Amazon and Target) in stock, and can guarantee shipping for Halloween if I order by 2pm tomorrow and choose $10 Premium Shipping. With the 20surprise coupon code, I saved 20% on the costume, which almost wiped out the shipping cost. The costume doesn’t come with the hammer or the wig. Luckily, Jackson will let me borrow his. I think I also have a blond wig of some sort in our stash of old costumes and dress-up items.